In a dystopian future, what most humans perceive as reality is actually a simulated reality called “The Matrix”, created by machines to suppress the human population, while their bodies’ heat and electrical activity are used as an energy source. Computer programmer “Neo” learns this truth and is drawn into a rebellion against the machines, which involves other people who have been freed from the “dream world”. So the main character’s name is Neo who also later discovers from the rebellion that he is the “chosen one” and only he can defeat the Matrix. The writers of the story didn’t just arbitrarily give this name to him. The name “Neo” is actually an anagram of “One” which references him being the one who can bring peace. In Greek the name also means “new”. In the story Neo is a newcomer within the rebellion. The entire concept of the matrix is new to him. The point is, his name isn’t Adam, Michael, John or Brian, which has no bearing on the story whatsoever. Another character in The Matrix is “Morpheus” who is the captain of the Nebuchadnezzar and the group who sort of takes Neo in and shows him what the matrix is and how what he thinks is reality is nothing more than a dream state. Interestingly enough, the name Morpheus means “god of dreams” within Greek mythology. Being that The Matrix is about reality versus a simulated dream state I’d say his name was very appropriate for the role he plays in the story. With these two basic examples you can see the relevancy the character names have to do with the actual story as well as the characters themselves. Now, if you’re still feeling your story out and don’t have a clear direction yet, it’s definitely okay to use arbitrary names and maybe come back later in your story and rename the characters as they “come alive”. You don’t want to stifle the writing process just because you can’t think of the perfect name in the beginning. The most important thing is to get the story going, but you definitely want to give your characters the proper names that will enhance the story. As we go along in this eBook we will discuss some tips and strategies on how to do just that. Sometimes the excitement and energy a strong character name brings can even spark new ideas for the story itself. These are just the type of boosts we all need when we’re in that creative mode and plugging away page after page — or if, more often than not, we’re stuck. I remember the first time I pitched a screenplay to a distribution company and they stopped me when I said my protagonist’s name. The guy interrupted calmly and repeated it. Paused for a brief moment…and quietly said “I like that. Ha. Very cool.”. From that point on I had a lot more confidence when I spoke and had less of a nervous sweat. I’m not going to sit here and say that alone was the reason I had a mini success that day, but it definitely helped and showed them I had taken the time to craft a cool name that fit my character and the storyline. The famous character names we know today sound perfect to us now, but did you know Yoda in Star Wars was almost named Minch Yoda? Indiana Jones was almost named Indian “Smith”. Scarlett O’Hara was almost named Pansy and allegedly didn’t get her proper name until just before the book went to print. So you see, names aren’t just names when it comes to your characters. It’s got to fit like a glove, but if you’ve read this far then I have a feeling you know that already. 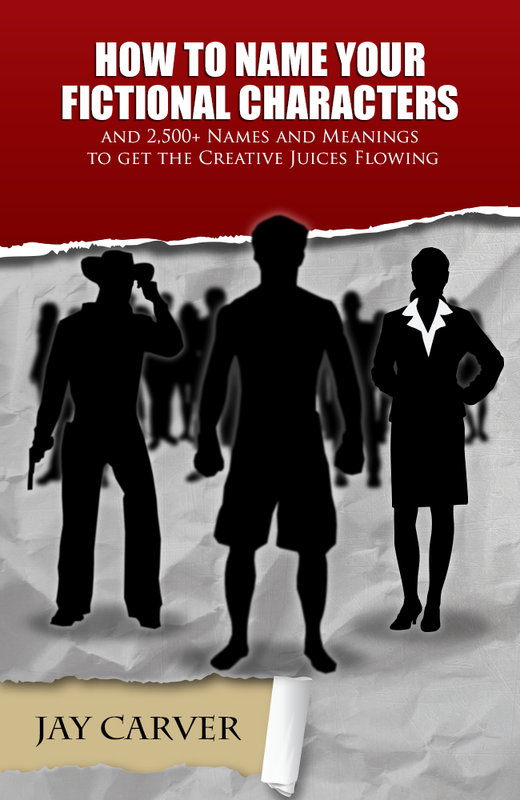 In this eBook I will cover some strategies that will help you come up with a well thought out character name. In addition to those tips, I have listed a number of different types of names, along with various meanings for some, that may help spark an idea for something you may have not otherwise thought of. The purpose of this eBook is not just to dump a crap ton of names and meanings in your lap and tell you to pick one, but more so to help you think carefully about what goes into your decision once you do find what you consider the perfect name.